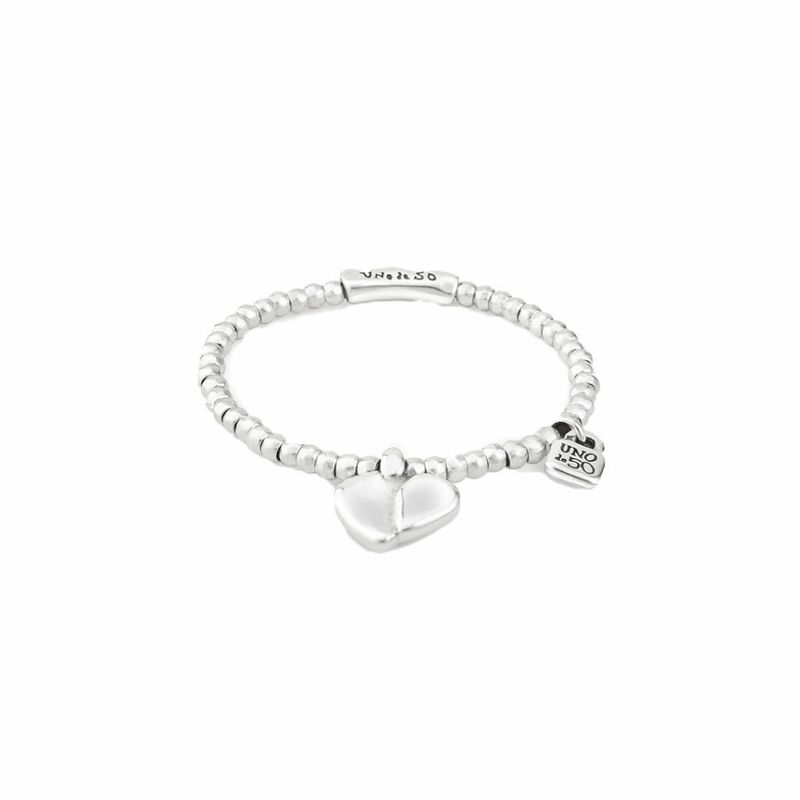 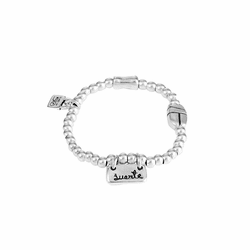 Elastic bracelet decorated with multiple rounded silver-plated pieces and two charms: one inspired by a heart and another one, the padlock created by UNOde50. 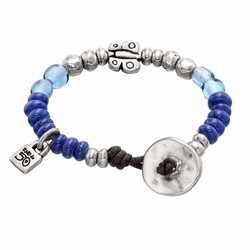 A simple accessory that you can enjoy wearing daily or for special occasions. 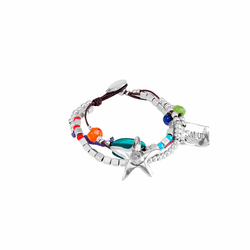 A jewel made 100% by hand in Spain.